Iron is one of the most important elements in nutrition and of fundamental importance to life. It is a key component of proteins which carry oxygen in the blood and muscles. Iron must be supplied by the diet, yet dietary iron is poorly absorbed. 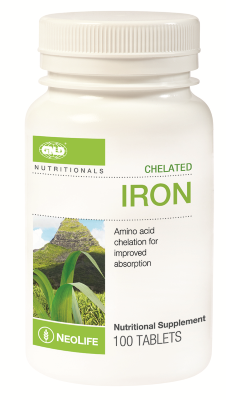 GNLD's Chelated Iron features whole-food iron from blackstrap molasses, and is chelated with amino acids for improved absorption. What are the benefits of iron supplement? 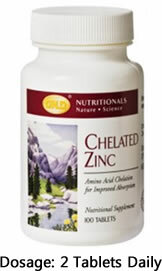 Why GNLD trace mineral chelated iron supplement product? 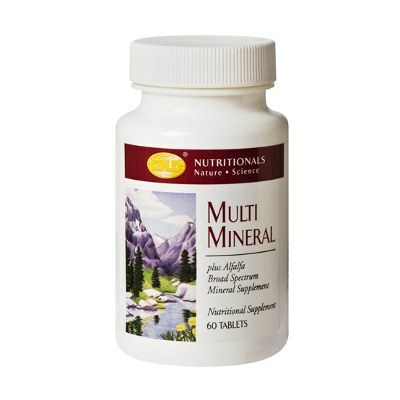 Children 4-11 years: half tablets daily, Adults: Take 1 tablet daily as a supplementary source of iron.